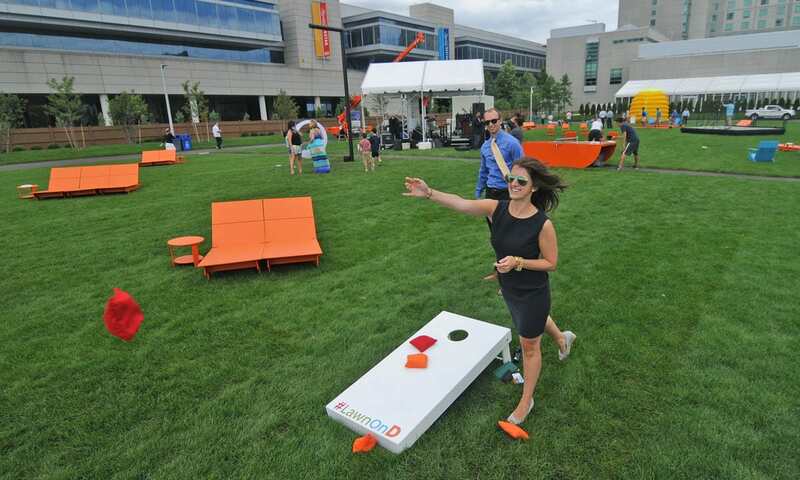 Who Doesn’t Love Lawn Games? The sun is shining, the grass is green, birds are chirping and then, all of a sudden you hear it. A noise so distinct and so simple it signals to the city of Boston, no, the country that Summer has officially arrived. Ah yes, you guessed it, the ice cream truck jingle. It’s a mad dash to the nearest exit, Summer is finally here and we’re all holding on until it’s swept away by a cool autumn breeze. 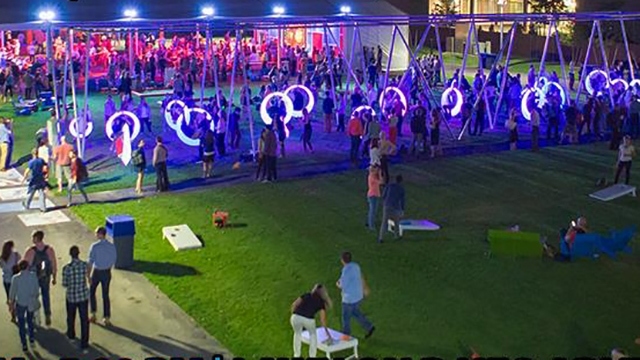 Restaurant patios are full of socialites and foodies, amphitheaters packed with music lovers and the competitive world of lawn games is in full swing. Travel south, just two and half miles and you will find a convergence of these seasonal traditions in one, “first of its kind” interactive space. 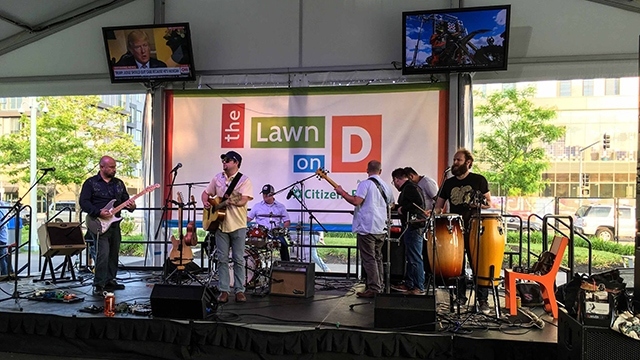 The Lawn on D sits on 2.7 acres of land, nestled between D street and the Boston Convention and Event Center. 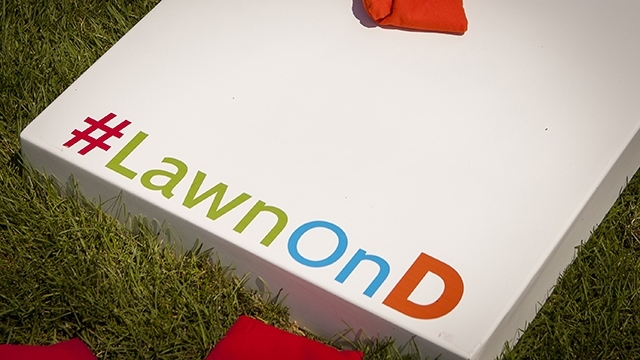 Open daily from 7AM-10PM (Fridays & Saturdays until 11PM), Lawn on D was designed to “encourage public engagement, foster creativity and test opportunities.” This beautiful strip of green, houses a pavilion, concession stands, lighting-enabled swings, any and all lawn games, live music, art exhibits, outdoor movies, fitness classes and for those data-conscious millennials…free WIFI! With no entrance free, you’re able to come and go as you please, engaging in whatever tickles your fancy. New to the city? Only here for a few days? 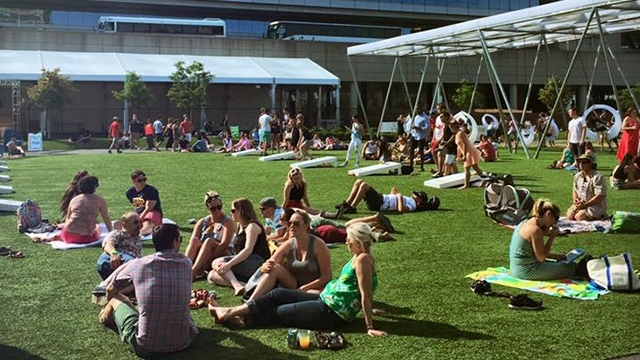 The Lawn on D is a great place to meet new faces and immerse yourself in Boston culture. 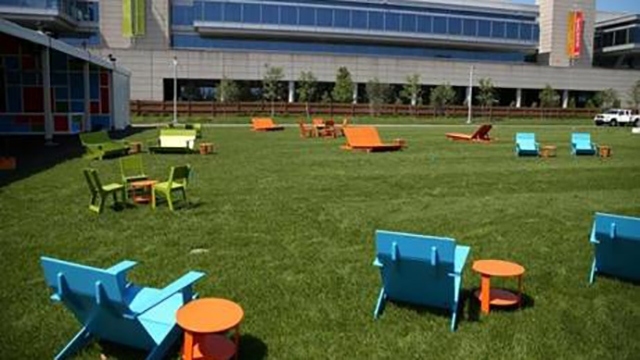 Located in South Boston, the area known as “Southie” (in every Mark Whalberg movie ever made) the lawn opens your horizons to this budding part of the city. Find the schedule of activities posted here and drop in to see what’s all the buzz about.